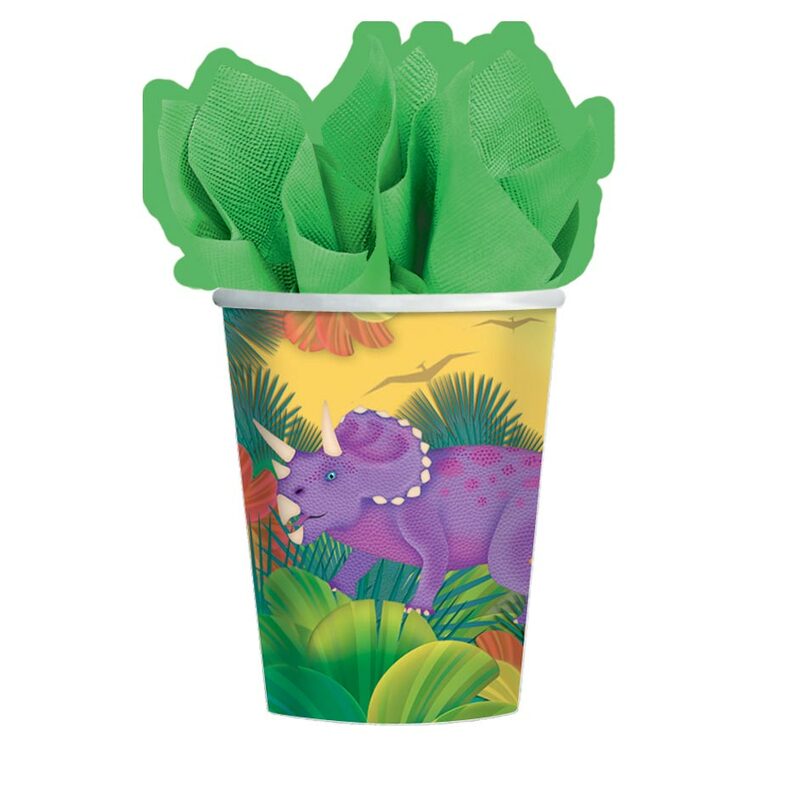 Colourful and tough – Dinosaur party paper cups. Suitable for both Hot and Cold Drinks (8 per pack). Versatile dinosaur paper cups with turned-down tops making them ideal for little ones. A super way to help theme a dinosaur party. Each pack contains 8 cups. Versatile dinosaur paper cups with turned-down tops making them ideal for little ones. A great addition to any dinosaur party supplies. We cannot guarantee against spills, but we can guarantee a good time. Each pack contains 8 cups. Great for taking on picnics or for helping to theme a dinosaur party. Really quick and efficient delivery of this product. Great for parties and saves tidying up. My son has refused to let me throw his away so I can say they last too! really recommend this site for great customer service.